AuthorCentral is great for monitoring the performance of your own books, but what if you want to track and benchmark competitive books? 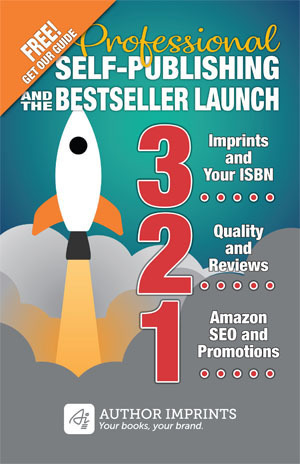 Or get more details about your own eBook, or print book, such as its sales rank. Now try creating a historical picture graphed relative to price. That’s a lot of record keeping and data entry you can avoid by using the free eBookTracker tool from Kindle Nation Daily (KND). Tracking books by other authors. Monitor sales rank relative to price for any book or eBook sold on Amazon.com. Bloggers and journalists. Input the books you are considering reviewing and visit periodically to see how well they perform. Are they worth your time investment? Readers (who doesn’t fit here?!). You can set an email notification to be contacted when a book’s price changes. Your own books. Amazon AuthorCentral provides some tools like the ability to monitor your Author Rank for all books, Kindle books, or print books, as well as sales performance, but it falls short when it comes to reporting historical information. Again, the data here is limited to your own books. Enter any book, Kindle or print. In my experience a search for a title will pull in the Kindle first so enter the ISBN if you want the print equivalent. Tracking begins when you enter the book. The data becomes more useful the longer it is tracked so add books as soon as you think you might want to track them. Create Groups to make it easier to manage large collections. See a graph that shows high/low title sales rank and high/low price. It’s a quick way to see how a price change affects sales ranking or how a KDP Select sale impacts sales rank. Maintain historical records. Much easier and faster than using Excel. Add email alerts (below) to be notified when a book changes price or when it makes an important jump (either direction) in sales rank. In this client example below (publisher/title withheld) our client launched the eBook at $2.99. But because the category was small, and the information specialized, I increased his price gradually over the course of a year before settling on $5.99. As you can see the sales rank of the book actually increased as the price increased! It seems people associated a low price with it being “cheap.” I can only guess that the higher price communicated higher quality and sales rank increased as a result. In this client example (San Diego Reader Books, Death of Judy Huscher) you see how price remained constant while sales rank fluctuated greatly over a one month period. In this case I don’t think it would make sense to change the price because it seems to have little to do with sales rank. One thing that might account for these wild swings is the fact that this book (along with others in the client’s library) are marketed in a weekly newspaper and sister website. I’d have to check the run dates of advertising in the paper, or rotations in online advertising, but I wouldn’t be surprised if these swings are a result of those efforts. This final example is my own book, Successful eBook Publishing. The blue line represents the price of the eBook while the red line is the Hi Salesrank. As you can see I raised the price and the sales rank of my book took a nose dive; ouch! It’s hard to see but the dotted line (greenish) at the bottom right is the low Salesrank (eBookTracker spells it this way). In mid-December I optimized the book’s listing and it went from a rank of 540,557 to 45,781 in the course of a week. This change along with a reduction in price helped the book recover its ranking but sales are still low. One of the great benefits of self-publishing is that you can take publishing matters into your own hands. It’s advantageous to be able to implement a marketing program and then see the results. Even more helpful is to evaluate those marketing investments relative to sales but you can’t do that without being able to monitor and track your efforts. So while a tool like eBookTracker won’t by itself sell books it will help you learn, over time, what marketing works and what doesn’t. There is also the advantage of being able to learn from others as you monitor their book’s performance. Amazon is unique in that they provide arguably the most reliable and rich free stream of data to those that use its API’s, or application programming interface. Savvy programmers can receive this data, store it and manipulate it in various ways. Is it 100% accurate? Technically yes but there can be glitches in the delivery so sometimes you’ll see a book in eBookTracker with a ranking of 10,000,000 or price that looks like a list price. Check a little later, or look on Amazon’s website when this happens before jumping to any conclusions. I help publishers, businesses and authors optimize their books for online discovery—SEO for books. Contact us to learn more or subscribe to our mailing list for more insider tips and suggestions. I follow the steps given to get to what you state, “monitor book sales” in stead I”m led merry-go-round very far from it into noman’S land. whats going on???? Sounds like you need to contact the service provider, or Amazon directly.